This project began as an existing one-story bay front home located in Mantoloking Shores, New Jersey. The site is a corner lot with water access on two sides. Over the years a multitude of disparate additions had been added onto the house leaving it with a lack of uniformity and balance. Before work could begin on the two proposed second-story additions, most of the house needed to be lifted to comply with current township and FEMA guidelines due to flooding from Hurricane Sandy. 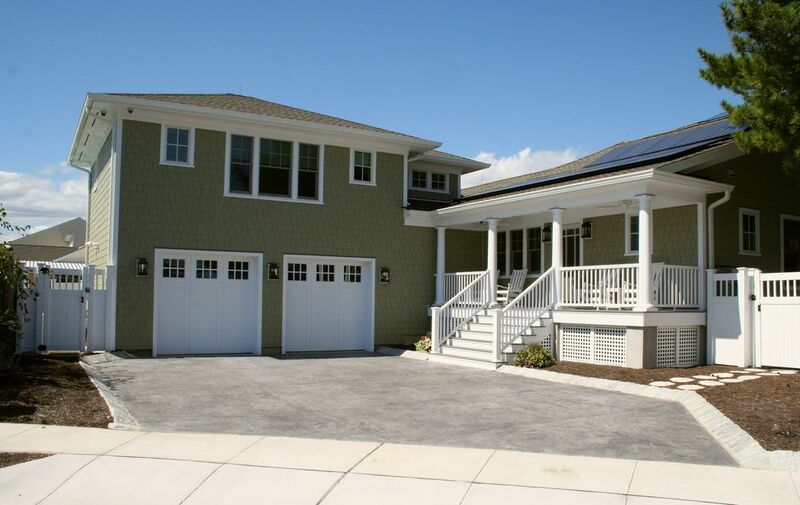 The north addition includes a new master bedroom, bath, and balcony overlooking Barnegat Bay to the north and west, while the south addition includes two additional guest bedrooms with a shared bath. The entire first floor was also renovated due to flood damage along with an overall makeover of the exterior.